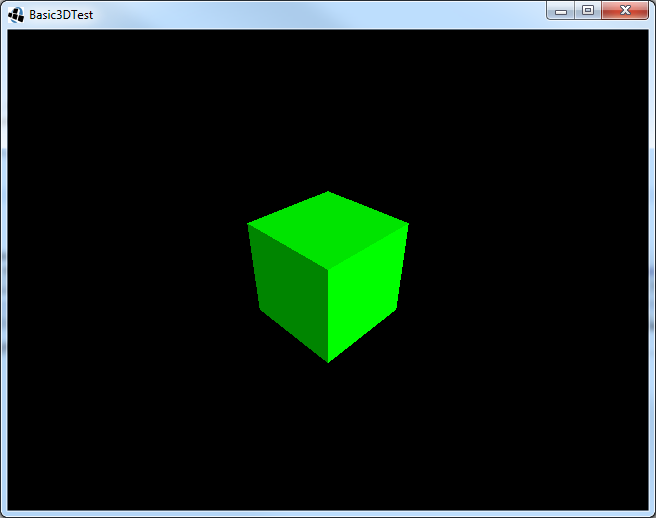 This tutorial guides you in using the basics of the 3d api LibGDX offers. The full source and a runnable tests of this tutorial can be found on this github repository. Now let's give that some body. First we'll need to add a camera, which allows us to view the 3D scene we're creating from a certain perspective. Here we create a new PerectiveCamera with a field of view of 67 degrees (which is common to use) and we set the aspect ratio to the current width and height. Then we set the camera 10 units to the right, 10 units up and 10 units back. The Z axis is pointing towards the viewer, so for the viewer a positive Z value of the camera is moving the viewer back. We set the camera to look at (0,0,0) because that is where we are placing our 3D object to view. We set the near and far values to make sure we would always see our object. And finally we update the camera so all changes we made are reflected by the camera. Now let's add something we can actually render. We could ofcourse launch some modeling application and create something to render (we will get to that soon), but for now we'll just create a simple box by code. Here we instantiate a ModelBuilder, which can be used to create models on code. Then we create a simple model box with a size of 5x5x5. We also add a material with a green diffuse color to it and add position and normal components to the model. When creating a model at least Usage.Position is required. Usage.Normal adds normals to the box, so e.g. lighting works correctly. Usage is a subclass of VertexAttributes. A model contains everything on what to render and it keeps track of the resources. It doesn't contain information like where to render the model. Therefor we need to create a ModelInstance. A ModelInstance contains the location, rotation and scale the model should be rendered at. By default this is at (0,0,0), so we just create a ModelInstance which should be rendered at (0,0,0). The model needs to be disposed, so we added a line to our Dispose() method. Now let's render the model instance. Here we add the ModelBatch, which is responsable for rendering and we initialize it in the create method. In the render method we clear the screen, call modelBatch.begin(cam), render our ModelInstance and then call modelBatch.end() to finish rendering. Finally we need to dispose the modelBatch to make sure all resources (like the shaders it uses) are properly disposed. Here we add an Environment instance. We construct it and set the ambient light (0.4, 0.4, 0.4), note that the alpha value is ignored. Then we add a DirectionalLight with the color of (0.8, 0.8, 0.8) and the direction of (-1.0, -0.8f, 0.2). I assume that you're familiar with lights in general. Finally we pass the environment to the modelbatch when rendering the instance. That looks alot better. Now let's control the camera so we can look at the model from other perspectives. Here we add a CameraInputController which we create with our cam as argument. We also set Gdx.input.setInputProcessor to this camController and make sure to update it in the render call. That's all there is to add the basic camera controller. You can now drag to make the camera rotate. 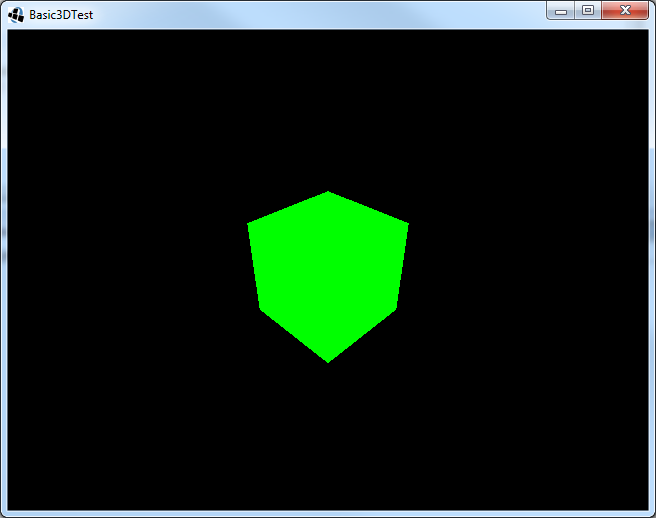 The complete Basic3DTest code is also included with the LibGDX tests. This webpage is open source and can be found at: https://github.com/xoppa/xoppa.github.io. The accompanying sources can be found at: https://github.com/xoppa/blog. Let me know what you think about this post in the comments below. If you need help then please use the forum instead. If you found an issue with this post then please report an issue or send a pull request.